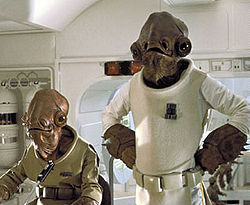 Admiral Ackbar, left, was semi-finalist in Ole Miss hunt for new mascot. Ackbar famously led the Rebel Alliance fleet's attack on the Death Star. 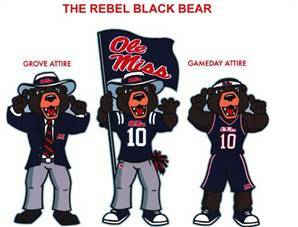 In an attempt to rid itself of connotations and imagery related to the Old South, and the embarrassment of losing a civil war that happened a century-and-a-half ago, the University of Mississippi Rebels—better known as Ole Miss—has adopted a new mascot to replace Colonel Reb: a bear. 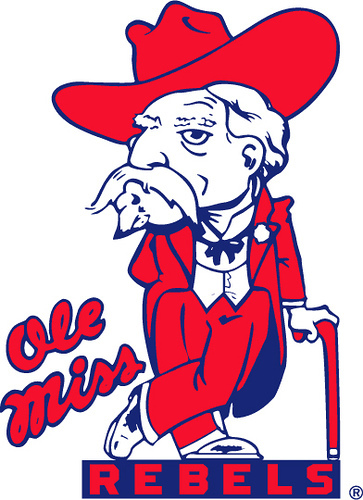 Ole Miss, who has been without a mascot ever since it sacked Colonel Reb in 2003, announced their decision at a press conference in Oxford, Mississippi on October, 15, 2010. With Admiral Ackbar enjoying his golden years on the planet of Mon Calamari and out of the picture, Ole Miss adds its Rebel Bear to a crowded pack of other predatory animal mascots in the Southeastern Conference that include a pair of tigers, alligators, untamed cats of no specific variety, and a smattering of other things like hogs, roosters, bulldogs, and the rise and fall of red-colored water. Colonel Reb spends his days consumed by anger in a mint julep-fueled haze following his dismissal in 2003. This entry was posted in Sports and tagged Ackbar, Admiral Ackbar, Bear, Black, Colonel Reb, It's a Trap, mascot, Ole Miss, Rebel by Troy Beckman. Bookmark the permalink. So the Rebels are pussies. What a surprise (sarc).